Place of Birth: Houston, Harris, Texas, U.S.
Alexis Bledel is an American actress and model. She is known for her roles in the movies Tuck Everlasting and Frank Miller’s Sin City, and the television series Gilmore Girls (one of Alexis’s paternal great-great-grandmothers was surnamed Gilmore). Alexis is married to actor Vincent Kartheiser, with whom she has a son. Alexis’s father, Martin Bledel, was born in Buenos Aires, Argentina, where he was raised. Alexis’s paternal grandfather was Argentinian-born (and was of Danish, and distant German, ancestry), and Alexis’s paternal grandmother was American-born (and had Scottish, English, and Irish ancestry). Alexis’s mother, Nanette (Dozier), was born in Phoenix, Arizona, and moved to Mexico at the age of eight. Alexis’s maternal grandfather was a rancher in Arizona, Mexico, and Costa Rica. According to interviews, Alexis’s mother considers herself to be Mexican; she is not of Hispanic descent. Alexis’s mother’s Dozier line traces back to Leonard Dozier, who was born, c. 1643, in France. Alexis’s mother also has Welsh, English, Scottish, Irish, German, and Dutch ancestry. 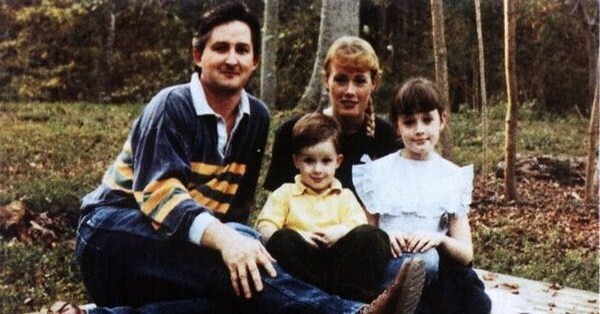 A picture of Alexis with her parents and brother can be seen here. A picture of Alexis with her mother can be seen here. Alexis is fluent in Spanish, and has described herself as a Latina. She did not start speaking English until she began school. Alexis’s maternal great-great-great-great-grandfather, John Hall Morgan, was Mayor of Memphis, Tennessee, from 1837 to 1838. Alexis’s paternal grandfather was Enrique Einar Bledel Huus (the son of Einar Rudolf Dons-Blaedel Heise and Elena Maria Huus). Enrique was born in 1917, in Buenos Aires, Argentina, and died in 2003. The surname Bledel originates from Paulus Blaedel, Alexis’s distant ancestor, a German who moved to Denmark (making Alexis of at least 1/128th German ancestry, at least from that line). Alexis’s great-grandfather Einar was born in Denmark, to Poul Dons-Blaedel and Charlotte Christine Heise. Alexis’s great-grandmother Elena was born in Argentina, to Danish parents, Frits Johannes Raahauge Huus and Inger Marie Andersen. Alexis’s paternal grandmother is Jean Campbell (the daughter of Norman Walter Campbell and Irene Slater). Jean was born in Troy, New York, and has English, Scottish, and Irish ancestry. Jean moved to Argentina after meeting Alexis’s paternal grandfather. Norman was born in Hamilton, Ontario, Canada, the son of Robert Archibald Campbell and Evelyn Smith. Irene was born in Attleboro, Massachusetts, the daughter of Warren H. Slater and Rebecca Richardson Gilmore; Rebecca’s maternal grandparents were Irish. Alexis’s maternal grandfather was Lewis David Dozier III (the son of Lewis David Dozier, Jr. and Elizabeth Overton). Alexis’s grandfather Lewis was born in Missouri. Alexis’s great-grandfather Lewis was the son of Lewis David Dozier and Rebecca E. Lewis. Elizabeth was the daughter of John W. Overton and Mary Oliver “Mamie” Goodbar. Alexis’s great-grandmother Elizabeth re-married to Gussie Busch, the prominent brewing magnate who built the Anheuser-Busch Companies into the largest brewery in the world. Alexis’s maternal grandmother was Mildred Caroline/Carlene Slater (the daughter of Frank D. Slater and Ina Mae Moseley). Mildred was born in New York. Frank was the son of Charles A. Slater and Mary Augusta Davenport. Ina was the daughter of William Aaron Mosley/Moseley and Edwinna Louise/Louisa Bloom/Blum. Could someone please assist me in finding Alexis’s maternal grandmother? I’m having a hard time. Her maternal grandfather is Lewis David Dozier III. Her maternal great-grandparents are Lewis David Dozier Jr. and Elizabeth Overton of Memphis, Tennessee. Her maternal great-great grandparents are Lewis David Dozier and Rachel Lewis. From this court case, you will find that Lewis David Dozier III was married 3 times. 1. He was married to a woman with the last time Slater. This woman is Alexis’s maternal grandmother. She gave birth to Alexis’s mother Nanette Dozier in Arizona and Alexis’s aunt Eleanor Dozier. 2. Lewis was married to Carol Marie Zahner in Mexico. She gave birth to Thomas and Marshall Dozier. They are Nanette’s half-brothers and Alexis’s uncles. 3. Lewis finally married Cecilia Espinoza Murillo. It doesn’t look like they had children together. Also, Lewis was a rancher in Arizona, where Nanette was born, Mexico, where Nanette was raised, and Costa Rica. It says so in that obituary listed for Lewis in the Princeton alumni book. Thank you very much, ashash. Correction: Anybody who was born or raised in Latin America is Hispanic. Her mother is hispanic. She’s just white hispanic. So you don’t need to put that she isn’t of hispanic ancestry, just that she isn’t of spanish or mestizo ancestry. I think writing “She was born in the U.S., and is not of Hispanic ancestry” makes sense. Being Hispanic by culture or naturalization is a separate issue. Her mother is a white American who was raised in Hispanic culture. Once DACA expires, Alexis will have to return home. That’s sad. Technically, Alexis is not white because she speaks Spanish and was raised in Latin American culture. I’ve never thought of her as white. Also have never met anyone who does. I am surprise she isnt Latino! I read everywhere saying that she was half mexican.